Many spices contain high levels of nutrients known as antioxidants that help to counteract the effect of damaging free radicals, contribute to optimal physical health and aid in the prevention of many diseases. In “Brain-Building Nutrition: How Dietary Fats and Oils Affect Mental, Physical, and Emotional Intelligence,” Michael A. Schmidt lists the top 50 common foods that have the highest antioxidant content. Schmidt, a medical doctor specializing in immunology and nutrition, identifies 10 of the 13 top foods on the list as highly antioxidant spices. With one of the highest levels of antioxidants, cloves may help with a wide variety of health-related concerns. Kami McBride and Rosemary Gladstar, in “The Herbal Kitchen: 50 Easy to Find Herbs and Over 250 Recipes to Bring Lasting Health to You and Your Family,” explain that cloves may help relieve bronchitis, asthma, tuberculosis, nausea and diarrhea. Antioxidant-rich oregano may help to guard you against a wide array of infections. John La Puma and Rebecca Powell Marx, in “ChefMD’s Big Book of Culinary Medicine: A Food Lover’s Road Map to Losing Weight, Preventing Disease, Getting Really Healthy,” explain that oregano can help to inhibit E. coli and some staph infections. Ginger may help with the prevention of everything from motion sickness to Alzheimer’s disease. Linda J. Altoonian, in “Living Agelessly: Answers to Your Most Common Questions about Aging Gracefully,” explains that this powerful antioxidant spice may also help reduce the inflammation of joint pain and arthritis and may contribute to cancer prevention. 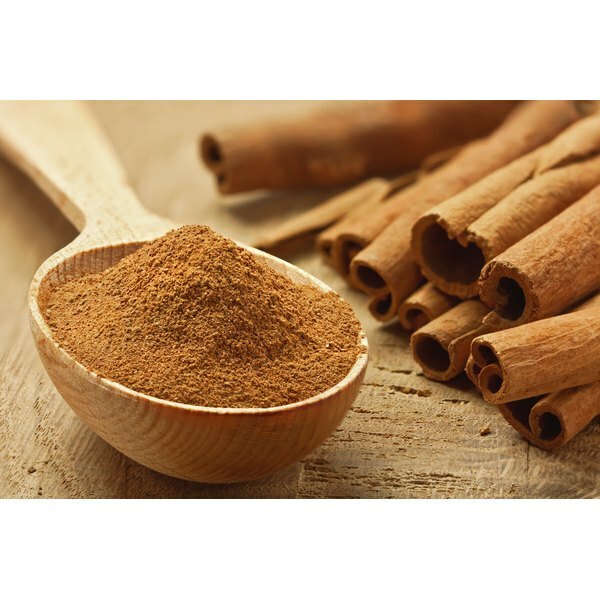 The antioxidants in cinnamon can help with the stabilization of blood sugar levels and the management of diabetes, as well as the prevention of cancer. La Puma and Marx explain that cinnamon may help with increasing insulin sensitivity, lowering cholesterol levels, decreasing inflammation and inhibiting cancerous tumor cell growth. Common in some curry powders and mustards, antioxidant-rich turmeric may help to protect your liver from toxins, including alcohol. Altoonian explains that the antioxidants in turmeric may also help to inhibit the development of Alzheimer’s disease and help to reduce cholesterol levels. Basil may contain antioxidants that help with the prevention of a number of cancers. Robin Keuneke, in “Total Breast Health: The Power Food Solution for Protection and Wellness,” explains that basil may help to protect against free radicals and suppress cancer growth, potentially offering protection against colon, breast, lung and other cancers. Highly antioxidant mustard seeds may help with everything from allergies to arthritis. McBride and Gladstar explain that mustard seed has strong analgesic, antibacterial, expectorant and diuretic qualities. As a result, this spice may enhance digestion, decrease mucus, protect against damaging free radicals and prevent diseases such as cancer. A strong antioxidant, curry contains a number of spices commonly used in Indian and South Asian cuisine, such as garlic, coriander, cumin and funegreek. Altoonian explains that the antioxidants contained in curry powder may help with reducing inflammation as well as with protecting against the development of Alzheimer’s disease. Rich in antioxidants, paprika may contribute toward cardiovascular health, as well as cancer prevention. McBride and Gladstar explain that paprika contains flavonoids that help to neutralize damaging free radicals as well as encourage healthy detoxification. The spice may also aid in reducing chronic pain and inflammation associated with arthritis. Made from the chili plant, chili has high levels of antioxidants and several therapeutic and disease preventing properties. La Puma and Marx explain that chili may have anti-inflammatory qualities and may serve as a strong anti-carcinogen, with the power to kill cancer cells. This spice may also contribute to heart health and help to prevent obesity.